Tucson (/ˈtuːsɒn/ /tuːˈsɒn/) is a city and the county seat of Pima County, Arizona, United States, and home to the University of Arizona. The 2010 United States Census put the population at 520,116, while the 2015 estimated population of the entire Tucson metropolitan statistical area (MSA) was 980,263. The Tucson MSA forms part of the larger Tucson-Nogales combined statistical area (CSA), with a total population of 1,010,025 as of the 2010 Census. Tucson is the second-largest populated city in Arizona behind Phoenix, both of which anchor the Arizona Sun Corridor. 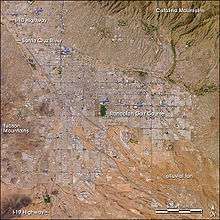 The city is  located 108 miles (174 km) southeast of Phoenix and 60 mi (97 km) north of the U.S.–Mexico border. 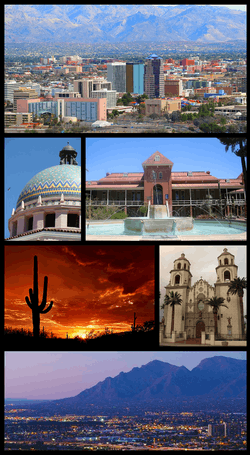 Tucson is the 33rd largest city and the 59th largest metropolitan area in the United States. Roughly 150 Tucson companies are involved in the design and manufacture of optics and optoelectronics systems, earning Tucson the nickname Optics Valley. Jesuit missionary Eusebio Francisco Kino visited the Santa Cruz River valley in 1692, and founded the Mission San Xavier del Bac in 1700 about 7 mi (11 km) upstream from the site of the settlement of Tucson. A separate Convento settlement was founded downstream along the Santa Cruz River, near the base of what is now "A" mountain. Hugo O'Conor, the founding father of the city of Tucson, Arizona authorized the construction of a military fort in that location, Presidio San Agustín del Tucsón, on August 20, 1775 (near the present downtown Pima County Courthouse). During the Spanish period of the presidio, attacks such as the Second Battle of Tucson were repeatedly mounted by Apaches. Eventually the town came to be called "Tucson" and became a part of Sonora after Mexico gained independence from Spain in 1821. Tucson was captured by Philip St. George Cooke with the Mormon Battalion during the Mexican–American War, but soon returned to Mexican control as Cooke continued his mission westward establishing Cooke's Wagon Road to California. Tucson was not included in the Mexican Cession and Cooke's road through Tucson became one of the important routes into California during the California Gold Rush. Arizona, south of the Gila River, was obtained via treaty from Mexico in the Gadsden Purchase on June 8, 1854. Tucson became a part of the United States of America, although the American military did not formally take over control until March 1856. In 1857 Tucson became a stage station on the San Antonio-San Diego Mail Line and in 1858 became 3rd division headquarters of the Butterfield Overland Mail until the line shut down in March 1861. The Overland Mail Corporation attempted to continue running, however following the Bascom Affair, devastating Apache attacks on the stations and coaches ended operations in August 1861. 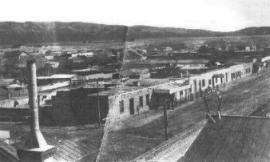 From August 1861 to mid-1862, Tucson was the western capital of the Confederate Arizona Territory, the eastern capital being Mesilla. In 1862 the California Column drove the Confederate forces out of Arizona. Tucson and all of what is now Arizona were part of New Mexico Territory until 1863, when they became part of the new Arizona Territory. From 1867 to 1877, Tucson was the capital of the Arizona Territory. Tucson was incorporated in 1877, making it the oldest incorporated city in Arizona. From 1877 to 1878, the area suffered a rash of stagecoach robberies. Most notable, however, were the two holdups committed by masked road-agent William Whitney Brazelton. Brazelton held up two stages in the summer of 1878 near Point of Mountain Station approximately 17 mi (27 km) northwest of Tucson. John Clum, of Tombstone, Arizona fame was one of the passengers. Brazelton was eventually tracked down and killed on Monday August 19, 1878, in a mesquite bosque along the Santa Cruz River 3 miles (5 km) south of Tucson by Pima County Sheriff Charles A. Shibell and his citizen's posse. Brazelton had been suspected of highway robbery not only in the Tucson area, but also in the Prescott region and Silver City, New Mexico area as well. Brazelton's crimes prompted John J. Valentine, Sr. of Wells, Fargo & Co. to send special agent and future Pima County sheriff Bob Paul to investigate. Fort Lowell, then east of Tucson, was established to help protect settlers from Apache attacks. In 1882, Frank Stilwell was implicated in the murder of Morgan Earp by Cowboy Pete Spence's wife, Marietta, at the coroner's inquest on Morgan Earp's shooting. The coroner's jury concluded that Spence, Stilwell, Frederick Bode, and Florentino "Indian Charlie" Cruz were the prime suspects in the assassination of Morgan Earp. :250 Deputy U.S. Marshal Wyatt Earp gathered a few trusted friends and accompanied Virgil Earp and his family as they traveled to Benson for a train ride to California. They found Stilwell lying in wait for Virgil in the Tucson station and killed him on the tracks. After killing Stilwell, Wyatt deputized others and rode on a vendetta, killing three more cowboys over the next few days before leaving the state. The city's elevation is 2,643 ft (806 m) above sea level (as measured at the Tucson International Airport). Tucson is situated on an alluvial plain in the Sonoran desert, surrounded by five minor ranges of mountains: the Santa Catalina Mountains and the Tortolita Mountains to the north, the Santa Rita Mountains to the south, the Rincon Mountains to the east, and the Tucson Mountains to the west. The high point of the Santa Catalina Mountains is 9,157 ft (2,791 m) Mount Lemmon, the southernmost ski destination in the continental U.S., while the Tucson Mountains include 4,687 ft (1,429 m) Wasson Peak. 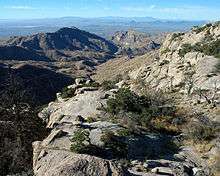 The highest point in the area is Mount Wrightson, found in the Santa Rita Mountains at 9,453 ft (2,881 m) above sea level. 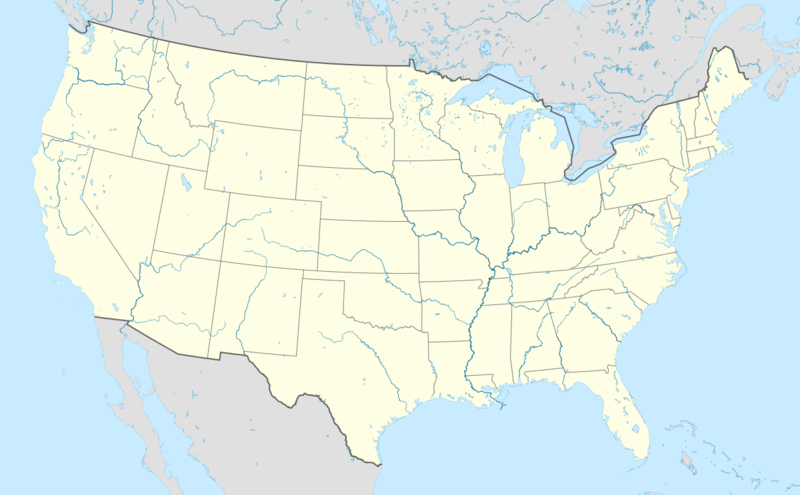 Tucson is located 118 mi (190 km) southeast of Phoenix and 60 mi (97 km) north of the United States - Mexico border. The 2010 United States Census puts the city's population at 520,116 with a metropolitan area population at 980,263. In 2009, Tucson ranked as the 32nd largest city and 52nd largest metropolitan area in the United States. A major city in the Arizona Sun Corridor, Tucson is the largest city in southern Arizona, the second largest in the state after Phoenix. It is also the largest city in the area of the Gadsden Purchase. As of 2015, The Greater Tucson Metro area has exceeded a population of 1 million. South Tucson is actually the name of an independent, incorporated town of 1 sq mi (2.6 km2), completely surrounded by the city of Tucson, sitting just south of downtown. South Tucson has a colorful, dynamic history. 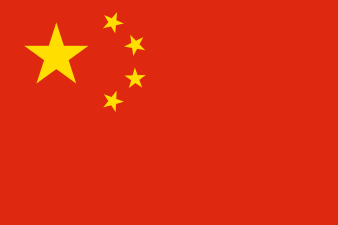 It was first incorporated in 1936, and later reincorporated in 1940. The population consists of about 83% Mexican-American and 10% Native American residents. South Tucson is widely known for its many Mexican restaurants and the architectural styles which include bright outdoor murals, many of which have been painted over due to city policy. 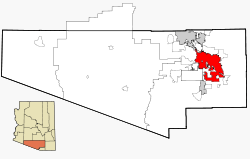 The South side of the city of Tucson is generally considered to be the area of approximately 25 sq mi (65 km2) north of Los Reales Road, south of 22nd Street, east of I-19, west of Davis Monthan Air Force Base and southwest of Aviation Parkway. The Tucson International Airport and Tucson Electric Park are located here. 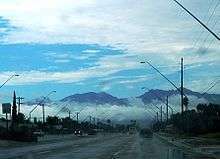 Also on the north side is the suburban community of Catalina Foothills, located in the foothills of the Santa Catalina Mountains just north of the city limits. This community includes among the area's most expensive homes, sometimes multimillion-dollar estates. The Foothills area is generally defined as north of River Road, east of Oracle Road, and west of Sabino Creek. Some of the Tucson area's major resorts are located in the Catalina Foothills, including the Hacienda Del Sol, Westin La Paloma Resort, Loews Ventana Canyon Resort and Canyon Ranch Resort. La Encantada, an upscale outdoor shopping mall, is also in the Foothills. The community of Casas Adobes is also on the Northwest Side, with the distinction of being Tucson's first suburb, established in the late 1940s. Casas Adobes is centered on the historic Casas Adobes Plaza (built in 1948). Casas Adobes is also home to Tohono Chul Park (a nature preserve) near the intersection of North Oracle Road and West Ina Road. The attempted assassination of Representative Gabrielle Giffords, and the murders of chief judge for the U.S. District Court for Arizona, John Roll and five other people on January 8, 2011, occurred at the La Toscana Village in Casas Adobes. The Foothills Mall is also located on the northwest side in Casas Adobes. Near the intersection of Craycroft and Ft. Lowell Roads are the remnants of the Historic Fort Lowell. This area has become one of Tucson's iconic neighborhoods. In 1891, the Fort was abandoned and much of the interior was stripped of their useful components and it quickly fell into ruin. In 1900, three of the officer buildings were purchased for use as a sanitarium. The sanitarium was then sold to Harvey Adkins in 1928. The Bolsius family Pete, Nan and Charles Bolsius purchased and renovated surviving adobe buildings of the Fort – transforming them into spectacular artistic southwestern architectural examples. Their woodwork, plaster treatment and sense of proportion drew on their Dutch heritage and New Mexican experience. Other artists and academics throughout the middle of the 20th century, including: Win Ellis, Jack Maul, Madame Cheruy, Giorgio Belloli, Charels Bode, Veronica Hughart, Edward and Rosamond Spicer, Hazel Larson Archer and Ruth Brown, renovated adobes, built homes and lived in the area. The artist colony attracted writers and poets including beat generation Alan Harrington and Jack Kerouac whose visit is documented in his iconic book On the Road. This rural pocket in the middle of the city is listed on the National Register of Historic Places. Each year in February the neighborhood celebrates its history in the City Landmark it owns and restored the San Pedro Chapel. 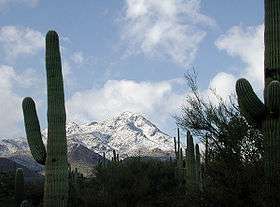 Tucson has a desert climate (Köppen BWh), with two major seasons, summer and winter; plus three minor seasons: fall, spring, and the North American Monsoon. Tucson averages 11.8 inches (299.7 mm) of precipitation per year, more than most other locations with desert climates, but it still qualifies as desert due to its high evapotranspiration; in other words, it experiences a high net loss of water. A similar scenario is seen in Alice Springs, Australia, which averages 11 inches (279.4 mm) a year, but has a desert climate. The most obvious difference of climate from most other inhabited regions is the hot and sunny climate. This difference is a major contributing factor to a rate of skin cancer that is at least three times higher than in more northerly regions. The media reports heat-related deaths increasing among illegal immigrants in and around Tucson. Heatstroke-related deaths have been recorded since 1999 in the Pima County Area. Summer is characterized by daytime temperatures that exceed 100 °F (38 °C) and overnight temperatures between 66 and 85 °F (19 and 29 °C). Early summer is characterized by low humidity and clear skies; mid-summer and late summer are characterized by higher humidity, cloudy skies and frequent rain. The weather in the fall is much like that during spring: dry, with cool nights and warm, hot days. Temperatures above 100 °F (38 °C) are possible into early October. Temperatures decline at the quickest rate in October and November, and are normally the coolest in late December and early January. Winters in Tucson are mild relative to other parts of the United States. Daytime highs in the winter range between 64 and 75 °F (18 and 24 °C), with overnight lows between 30 and 44 °F (−1 and 7 °C). Tucson typically averages one hard freeze per winter season, with temperatures dipping to the mid or low-20s (−7 to −4 °C), but this is typically limited to only a very few nights. 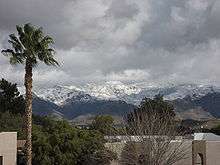 Although rare, snow has been known to fall in Tucson, usually a light dusting that melts within a day. The most recent snowfall was on February 20, 2013 when 2.0 inches of snow blanketed the city, the largest snowfall since 1987. Early spring is characterized by gradually rising temperatures and several weeks of vivid wildflower blooms beginning in late February and into March. During this time of year the diurnal temperature variation normally attains its maximum, often surpassing 30 °F (17 °C). The City of Tucson, Pima County, the State of Arizona, and the private sector have all made commitments to create a growing, healthy economy with advanced technology industry sectors as its foundation. Raytheon Missile Systems (formerly Hughes Aircraft Co.), Texas Instruments, IBM, Intuit Inc., Universal Avionics, Honeywell Aerospace, Sunquest Information Systems, Sanofi-Aventis, Ventana Medical Systems, Inc., and Bombardier Aerospace all have a significant presence in Tucson. Roughly 150 Tucson companies are involved in the design and manufacture of optics and optoelectronics systems, earning Tucson the nickname "Optics Valley". Nonprofits based in Tucson include the Muscular Dystrophy Association. Since 2012, during the first two weekends of October, the Tucson Historic Preservation Foundation hosts Tucson Modernism Week, celebrating tucson's unique Post WWII, Mid-century modern Heritage. The event includes more than 30 programs including tours, lectures, exhibits, films and parties. The events are located in mid-century modern buildings and neighborhoods throughout the city and has highlighted the work of significant architects and designers who contributed to the development and history of southern Arizona including: Architect Arthur Brown, Fashion Designer Dolores Gonzales, Architect Bob Swaim, Architect Anne Rysdale, Textile Designers Harwood and Sophie Steiger, Architect Nick Sakellar, Architectural Designer Tom Gist, Furniture Designer Max Gottschalk, Architect, Ned Nelson, Landscape Architect Guy Green, Architect Juan Worner Baz and many others. 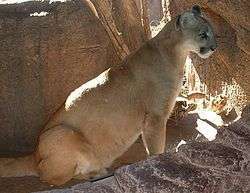 International Wildlife Museum, which is 5 mi (8.0 km) west of Interstate 10, maintains an exhibition of over four-hundred different stuffed animal species from around the globe. In 2015 the United Nations Educational, Scientific and Cultural Organization (UNESCO) designated Tucson a "world city of gastronomy". The Tucson Padres played at Kino Veterans Memorial Stadium from 2011 to 2013. They served as the AAA affiliate of the San Diego Padres. The team, formerly known as the Portland Beavers, was temporarily relocated to Tucson from Portland while awaiting the building of a new stadium in Escondido. Legal issues derailed the plans to build the Escondido stadium, so they moved to El Paso, Texas for the 2014 season. Previously, the Tucson Sidewinders, a triple-A affiliate of the Arizona Diamondbacks, won the Pacific Coast League championship and unofficial AAA championship in 2006. The Sidewinders played in Tucson Electric Park and were in the Pacific Conference South of the PCL. The Sidewinders were sold in 2007 and moved to Reno, Nevada after the 2008 season. They now compete as the Reno Aces. The Portland Pirates of the American Hockey League relocated to Tucson following the 2015-2016 season to become the Tucson Roadrunners. They play in the AHL's Pacific division, and are affiliated with the Arizona Coyotes. 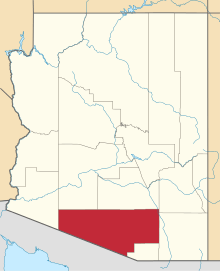 In general, Tucson and Pima County support the Democratic Party, as opposed the state's largest metropolitan area, Phoenix, which usually supports the Republican Party. Congressional redistricting in 2013, following the publication of the 2010 Census, divided the Tucson area into three Federal Congressional districts (the first, second and third of Arizona). The city center is in the 3rd District, represented by Raul Grijalva, a Democrat, since 2003, while the more affluent residential areas to the south and east are in the 2nd District, represented by Republican Martha McSally since 2015, and the exurbs north and west between Tucson and Phoenix in the 3rd District are represented by Democrat Ann Kirkpatrick since 2008. The United States Postal Service operates post offices in Tucson. The Tucson Main Post Office is located at 1501 South Cherrybell Stravenue. Both the council members and the mayor serve four-year terms; none face term limits. Council members are nominated by their wards via a ward-level primary held in September. The top vote-earners from each party then compete at-large for their ward's seat on the November ballot. In other words, on election day the whole city votes on all the council races up for that year. Council elections are severed: Wards 1, 2, and 4 (as well as the mayor) are up for election in the same year (most recently 2011), while Wards 3, 5, and 6 share another year (most recently 2013). Brown Mackie College has one Tucson campus. Tucson has one daily newspaper, the morning Arizona Daily Star. Wick Communications publishes the daily legal paper The Daily Territorial, while Boulder, Colo.-based 10/13 Communications publishes Tucson Weekly (an "alternative" publication), Inside Tucson Business and the Explorer. TucsonSentinel.com is a nonprofit independent online news organization. Tucson Lifestyle Magazine, Lovin' Life News, DesertLeaf, and Zócalo Magazine are monthly publications covering arts, architecture, decor, fashion, entertainment, business, history, and other events. The Arizona Daily Wildcat is the University of Arizona's student newspaper, and the Aztec News is the Pima Community College student newspaper. The New Vision is the newspaper for the Roman Catholic Diocese of Tucson, and the Arizona Jewish Post is the newspaper of the Jewish Federation of Southern Arizona. The Tucson metro area is served by many local television stations and is the 68th largest designated market area (DMA) in the U.S. with 433,310 homes (0.39% of the total U.S.). It is limited to the three counties of southeastern Arizona (Pima, Santa Cruz, and Cochise) The major television networks serving Tucson are: KVOA 4 (NBC), KGUN 9 (ABC), KMSB-TV 11 (Fox), KOLD-TV 13 (CBS), KTTU 18 (My Network TV) and KWBA 58 (The CW). KUAT-TV 6 is a PBS affiliate run by the University of Arizona (as is sister station KUAS 27). Amtrak, the national passenger rail system, provides service to Tucson three times weekly in both directions, operating its Sunset Limited between Los Angeles, California and New Orleans, Louisiana and Texas Eagle service between Los Angeles and Chicago, Illinois. Tucson International Airport (IATA: TUS, ICAO: KTUS), is located 6 mi (9.7 km) south of the city's center. TIA is the second largest commercial airport in Arizona, providing nonstop flights to 15 destinations throughout the United States. In addition to passenger and freight service, TIA supports the 162d Fighter Wing's fleet of seventy F-16s stationed at the Tucson Air National Guard Base. There are two interstate highways in the metropolitan area. Interstate 10 runs southeast from Phoenix through Marana, passes west of downtown, and continues east toward El Paso. Interstate 19 leaves the I-10 south of downtown and heads south to the Mexican border. State Highway 210 is a shorter freeway that links downtown with Davis-Monthan Air Force Base and Tucson's southeast side. Tucson does not have a beltway system. Cycling is popular in Tucson due to its flat terrain and dry climate. Tucson and Pima County maintain an extensive network of marked bike routes, signal crossings, on-street bike lanes, mountain-biking trails, and dedicated shared-use paths. The Loop is a network of seven linear parks comprising over 100 mi (160 km) of paved, vehicle-free trails that encircles the majority of the city with links to Marana and Oro Valley. The Tucson-Pima County Bicycle Advisory Committee (TPCBAC) serves in an advisory capacity to local governments on issues relating to bicycle recreation, transportation, and safety. Tucson was awarded a gold rating for bicycle-friendliness by the League of American Bicyclists in 2006. ↑ "Maps and Records". Retrieved September 14, 2016. 1 2 "American FactFinder". United States Census Bureau. Retrieved 2012-06-18. 1 2 "Population Estimates". United States Census Bureau. Retrieved June 3, 2016. 1 2 "Find a County". National Association of Counties. Retrieved 2011-06-07. ↑ "Metropolitan and Micropolitan Statistical Areas". United States Census Bureau. Retrieved June 3, 2016. ↑ Star, Tom Beal Arizona Daily. "Tucson Oddity: What's with crater on edge of 'A' Mountain?". Retrieved September 14, 2016. 1 2 Wright, Erik J. (October 2010). "'"Yes, Here I am Again! Tucson's Prize Bandit of 1878: William W. Brazelton'". Wild West History Association: Journal. 3 (5): 43–48. ↑ Barra, Alan (December 1998). "Who Was Wyatt Earp?". 49 (8). American Heritage Magazine. ↑ Star, David Leighton For the Arizona Daily. "Street Smarts: Few Tucsonans saw Wyatt Earp as hero". Retrieved September 14, 2016. ↑ "Another Assassination Frank Stilwell Found Dead this Morning Being Another Chapter in the Earp-Clanton Tragedy". Tombstone, Arizona. March 27, 1882. p. 4. ↑ "Race and Hispanic Origin for Selected Cities and Other Places: Earliest Census to 1990". U.S. Census Bureau. Retrieved January 4, 2012. ↑ "Feliz Cumpleaños (Happy Birthday) Tucson! - Carolyn's Community". Tucsoncitizen.com. 2010-08-20. Retrieved 2011-10-27. ↑ "KTUS Tucson International Airport Tucson, Arizona, USA". Airnav.com. Retrieved 2012-01-22. ↑ Tucsonpresidiotruste.org Archived May 12, 2013, at the Wayback Machine. ↑ Barrio historico Tucson. Retrieved 2010-03-12. ↑ Star, David Leighton For The Arizona Daily. "Street Smarts: Feldman brought family to Tucson after 1870s economic crash". Retrieved September 14, 2016. ↑ Rob O'Dell (2010-10-29). "Azstarnet.com". Arizona Daily Star. Retrieved 2012-01-22. ↑ "Kvoa.com". Kvoa.com. 2010-06-23. Retrieved 2012-01-22. ↑ Arrival of the Southern Pacific Railroad in Tucson on the east side. Retrieved 2010-03-12. ↑ "Tucson Neighbourhoods, Locations and Districts: Locations in Tucson Area, AZ, USA". Tucson.world-guides.com. Retrieved 2011-10-27. 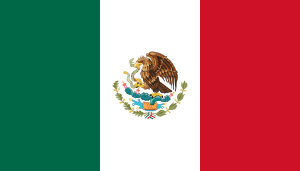 ↑ Tucson, U.S.A. | Emporis.com. Retrieved 2010-03-12. ↑ Arizona Heritage Traveler – Public Buildings – Pima County Courthouse. Archived February 1, 2015, at the Wayback Machine. ↑ El Charro Café. Retrieved 2010-03-12. ↑ Star, David Leighton For the Arizona Daily. "Street Smarts: Before arena, road named for "Pop" McKale". Retrieved September 14, 2016. ↑ Star, David Leighton For the Arizona Daily. "Street Smarts: Barraza worked to unify Arizona miners". Retrieved September 14, 2016. ↑ Star, David Leighton For the Arizona Daily. "Street Smarts: Bloody murder, buried money in town's history". Retrieved September 14, 2016. ↑ Star, David Leighton For the Arizona Daily. "Street Smarts: Starr Pass Blvd. has telegraph-line link". Retrieved September 14, 2016. ↑ Old West Tucson. Old West Tucson. Retrieved on 2013-07-12. ↑ Star, David Leighton For the Arizona Daily. "Harold Bell Wright the inspiration for Tucson neighborhood". Retrieved September 14, 2016. ↑ Star, David Leighton For the Arizona Daily. "Street Smarts: Country Club, Golf Links used to be one road". Retrieved September 14, 2016. ↑ Star, David Leighton Special To The Arizona Daily. "Engineer-businessman Craycroft built impressive home for its time". Retrieved September 14, 2016. ↑ Star, David Leighton For the Arizona Daily. "Street Smarts: Highway, mountain named for botanist". Retrieved September 14, 2016. ↑ University of Arizona Opens Sky Center To Public (Press Release at VisitTucson.org). Retrieved 2010-12-16. ↑ McKnight & Hess, pp. 212 ff, "Climate Zones and Types: Dry Climates (Zone B)". ↑ Trends in the incidence of nonmelanoma skin cancers in southeastern Arizona, 1985–1996. Retrieved 2010-03-12. ↑ "Springerlink.com". Springerlink.com. Retrieved 2012-01-22. ↑ NWS Tucson Office Monsoon tracker. Retrieved 2010-03-12. ↑ Two underpasses leading towards downtown Tucson from the north, at Sixth Avenue and Stone Avenue, have such "feet of water" scales. 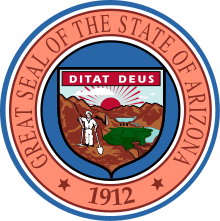 ↑ Arizona State Legislature, ARS 28-910, Liability for emergency responses in flood areas; definitions. Retrieved 2010-03-12. ↑ Tucson University of Arizona, Arizona – Climate Summary. Retrieved 2010-03-12. ↑ Tucso WSO AP, Arizona – Climate Summary. Retrieved 2010-03-12. ↑ "NowData - NOAA Online Weather Data". Retrieved 2012-02-02. ↑ "Station Name: AZ TUCSON INTL AP". National Oceanic and Atmospheric Administration. Retrieved 2014-04-21. ↑ "WMO Climate Normals for TUCSON/INT'L ARPT AZ 1961–1990". National Oceanic and Atmospheric Administration. Retrieved 2014-03-10. ↑ "Monthly Averages for Tucson, AZ". Retrieved 2011-03-28. ↑ United States Census Bureau. "Census of Population and Housing". Retrieved September 27, 2013. 1 2 "Arizona - Race and Hispanic Origin for Selected Cities and Other Places: Earliest Census to 1990". U.S. Census Bureau. 1 2 "Tucson (city), Arizona". State & County QuickFacts. U.S. Census Bureau. ↑ "Feds give OK to new Ariz. congressional maps". Inside Tucson Business. Retrieved 2013-02-02. ↑ Star, David Leighton For the Arizona Daily. "Street Smarts: Tucson's biggest manufacturing plant was almost built in Phoenix". Retrieved September 14, 2016. ↑ Fischer, Alan D. "Optics Valley: Can Tucson stay king of the hill?" at the Wayback Machine (archived December 25, 2007) Arizona Daily Star. Retrieved 2010-03-12. ↑ Long, Levy J. 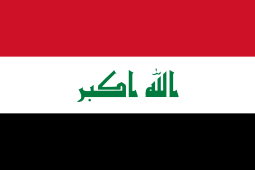 (October 10, 2006). "Luxury labels: Tiffany, Louis Vuitton could inspire more high-end retailers to try Tucson." at the Wayback Machine (archived May 28, 2008) Arizona Daily Star. Retrieved 2010-03-12. ↑ "City of Tucson 2013 Comprehensive Annual Financial Report" (PDF). June 18, 2014. p. 163. Retrieved June 18, 2014. ↑ Tucson Gem and Mineral Society. Retrieved 2010-03-12. ↑ "Tucson Festival of Books now 4th largest book fair in U.S.". Retrieved 2013-03-09. ↑ "Tucson Festival of Books: Exhibitors". Retrieved 2013-03-09. ↑ "Tucson Festival of Books Founder's Award". Retrieved 2013-03-12. ↑ The Tucson Folk Festival homepage. Retrieved 2010-03-12. ↑ Star, David Leighton For The Arizona Daily. "Street Smarts: Kramer Ave. named for winter visitor who helped start rodeo, parade in 1925". Retrieved September 14, 2016. 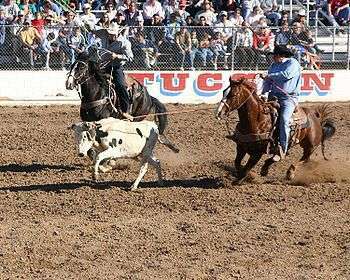 ↑ "The Tucson Rodeo Parade". Retrieved 2010-03-12. ↑ Tucson Meet Yourself, Tucson Festival, Tucson Folk Arts, Tucson Entertainment. Retrieved 2010-03-12. ↑ "Tucson Modernism Week". Retrieved September 14, 2016. ↑ Westerman, Kim (2011). Explorer's Guide Tucson: A Great Destination (Explorer's Great Destinations). The Countryman Press. pp. 38–39. ISBN 9781581579093. ↑ MobileReference (2007). Encyclopedia of Observances, Holidays and Celebrations. MobileReference Series. pp. 198–199. 1 2 3 Herreras, Mari. "All Souls, All Community: Tucson's heart exposes itself every All Souls Procession". Tucson Weekly. Retrieved 13 November 2013. ↑ Regan, Margaret (5 November 2009). "To Mourn and to Honor: The All Souls Procession enters its third decade of helping Tucsonans deal with death". Tucson Weekly. Retrieved 13 November 2013. ↑ Regan, Margaret. "Ninety and Nimble". Tucson Weekly. Tucson, Arizona. October 7, 2004. ↑ "History". The Gaslight Theatre. Retrieved 13 December 2014. ↑ Tatum, Charles M. (August 2, 2001). Chicano Popular Culture: Que Hable el Pueblo. The Mexican American Experience. University of Arizona Press. p. 46. ISBN 978-0816519835. ↑ Rosendtadt, Jose (April 26, 2007). "Mariachi: 25 years of greatness". Tucson Citizen. p. Calendar. Retrieved 1 December 2014. ↑ "Critics' Choice Awards: Best Band or Artist: Calexico". Tucson Weekly. June 29, 2006. Retrieved 2010-03-12. ↑ Alpers, Jackie. "Welcome to Tucson: 10 Must-Try Mexican-Inspired Dishes", Food Network. Retrieved April 10, 2016. ↑ Downing, Renée (July 27, 2006). "The Birth of Tucson Cuisine", Tucson Weekly. Retrieved April 10, 2016. ↑ Tersigni, Jennifer (October 16, 2014). "Must Try: 12 Amazing Ethnic Dishes from All Over Tucson", Tucson Foodie. Retrieved April 10, 2016. ↑ Berlin, Andi (December 11, 2015). "UNESCO Designates Tucson as World City of Gastronomy", Arizona Daily Star. Retrieved August 27, 2016. ↑ Severson, Kim (August 23, 2016). "Tucson Becomes an Unlikely Food Star", The New York Times. Retrieved August 27, 2016. ↑ Nevarez, Griselda (August 15, 2015). "Tucson's Savory Invention: The Sonoran Hot Dog", NBC News. Retrieved April 10, 2016. ↑ Robbins, Ted (August 6, 2009). "The Sonoran Hotdog Crosses the Border", NPR. Retrieved April 10, 2016. ↑ Edge, John T. (August 25, 2009). "In Praise of the All-American Mexican Hot Dog", The New York Times. Retrieved April 10, 2016. ↑ Turner, Jim (October 17, 2010). "Life in the Old Pueblo: Here's how Tucson came to own its charming nickname". Arizona Daily Star. ↑ "'The Sunshine Factory' Picked as New Nickname for Tucson". Ocala Star-Banner. Ocala, Florida. Associated Press. November 15, 1981. p. 11A. ↑ Abel, Barbara (January 8, 1984). "There's more to Tucson than Sun, Guns, Scenery". The Milwakee Journal. pp. Travel 1–4. ↑ Liou, Koutsai T. (1998). Handbook of economic development. CRC Press. p. 205. ISBN 0-8247-0181-X. ↑ "College News Updates". College Media Networks. Retrieved 2012-01-22. ↑ Finley, Patrick (2011-12-29). "Tucson Padres owner to look at selling team". Arizona Daily Star. Retrieved 2012-01-22. ↑ Trotto, Sarah (2011-04-16). "TUCSON PADRES NOTEBOOK: Moorad: Kino may be a long-term option". Arizona Daily Star. Retrieved 2012-01-22. ↑ "The USHA Hall of Fame". United States Handball Association. Retrieved 2012-09-29. ↑ Duffy, Jennifer (December 17, 2005). "The women of the Tucson Monsoon are 'tackling football'". Arizona Daily Star. tucson.com. Retrieved 13 January 2016. ↑ Rivera, Andrea (January 28, 2009). "She Devils plan on full contact". Arizona Daily Star. tucson.com. Retrieved 13 January 2016. ↑ Star, David Leighton For the Arizona Daily. "Street Smarts: Giant boot marks spot of road named for Restaurant owning family". Retrieved September 14, 2016. ↑ CNN.com Election 2004. Retrieved 2010-03-12. ↑ Local and National Election Results. Retrieved 2010-03-12. ↑ 2008 General Election. Retrieved 2010-03-12. ↑ "Feds give OK to new Ariz. congressional maps". Inside Tucson Business. 2012-04-13. Retrieved 2013-02-02. ↑ "Post Office Location – TUCSON." United States Postal Service. Retrieved 2010-03-12. ↑ Mayor Profile. Retrieved 2010-03-12. ↑ "Tucson College - Technical Schools & Career Training in Arizona". Retrieved September 14, 2016. ↑ Arizona School of Acupuncture & Oriental Medicine. Retrieved 2010-03-12. ↑ "Tucson Campus of Wayland Baptist University - Christian Universities in Arizona". Retrieved September 14, 2016. ↑ The Arizona Daily Star annual survey of private and charter schools. Archived August 22, 2009, at the Wayback Machine. ↑ Tucson High Badger Foundation, Inc. Tucsonhighschool.com. Retrieved on 2013-07-12. ↑ Holmes, Gary. "Nielsen Reports 1.1% increase in U.S. Television Households for the 2006–2007 Season." at the Wayback Machine (archived June 16, 2008) Nielsen Media Research. August 23, 2006. Retrieved 2010-03-12. ↑ Vanderpool, Tim. "Polluting the Poor:TEP's southside coal plant keeps on pumping out noxious gases". Tucson Weekly. Retrieved 27 December 2013. ↑ 050910. "D-M awards solar photovoltaic utility contract to SunEdison". Dm.af.mil. Retrieved 2011-10-27. ↑ "Arizona's Water: Uses and Sources". Arizona Experience. Retrieved 27 December 2013. ↑ "Light Pollution – Tucson/Pima County, AZ". The Public Good. Jan 12, 2009. ↑ "Pima County approves changes to lighting ordinance". KVOA.com. Mar 13, 2012. ↑ "2012 City of Tucson/Pima County Outdoor Lighting Code" (PDF). Pima County Development Services. ↑ "About Tucson Water". Retrieved 13 December 2014. ↑ "Tucson's Water Heritage", City of Tucson. Retrieved 2010-03-12. ↑ "Reclaimed Water". City of Tucson. 2012. Retrieved 22 March 2012. ↑ "Clearwater Frequently Asked Questions | The Official Website for the City of Tucson, Arizona". Cms3.tucsonaz.gov. Retrieved 2011-10-27. ↑ "Tucson Water's Long Range Water Resource Planning" (PDF). City of Tucson. Retrieved 2012-01-22. ↑ "Federal Transit Administration Gives Approval to the Tucson Modern Streetcar Project" (Press release). Tucson Department of Transportation. October 1, 2009. Retrieved 2010-03-12. ↑ "Tucson Streetcar Debuts to Crowds, Hot Weather". Arizona Public Media. Arizona Board of Regents. 2014-07-25. Retrieved 2014-10-24. ↑ Wichner, David (June 27, 2013). "Alaska Airlines to launch Tucson-Portland nonstop". Arizona Daily Star. ↑ "162nd Fighter Wing Fact Sheet". 162nd Fighter Wing Public Affairs. July 3, 2012. ↑ Kreutz, Douglas (April 28, 2015). "New segment of The Loop trail opens Saturday with a fiesta". Arizoan Daily Star. ↑ ""The Loop 2014 Annual Report: The First 100 Miles"" (PDF). Pima County. ↑ "League Names New Bicycle Friendly Communities". 2006-04-24. Retrieved 2010-03-12. ↑ "Tucson Sister Cities". Interactive City Directory. Sister Cities International. Retrieved 4 September 2013. Woodward, Richard B. (January 3, 2010). "36 Hours in Tucson, Ariz.". The New York Times. Retrieved 2 January 2010.